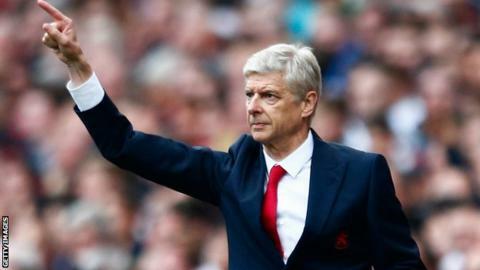 Arsenal manager Arsene Wenger has been asked to explain his comments on doping to the Football Association. Wenger, 66, said this week he had "never injected my players to make them better" but there had been teams he had faced not "in that frame of mind". He was speaking in a L'Equipe interview after a Dinamo Zagreb player failed a drug test following September's Champions League win over Arsenal. The FA has invited Wenger to provide any further information he may have. Midfielder Arijan Ademi tested positive after playing for Dinamo in their 2-1 defeat of the Gunners in Zagreb. His 'B' sample is still being investigated but if that is also positive, he could face a ban. Wenger has long been an advocate of making advances in drug testing. "I try to be faithful to the values that I find important in life and to transmit them to others," the Frenchman said. "In 30 years of my coaching career, I never got one of my players injected to be more efficient." The FA said in a statement: "The FA, in conjunction with United Kingdom Anti-Doping (Ukad), operates one of the most comprehensive anti-doping testing programmes in the world. "We have exceptionally few cases of positive tests for performance-enhancing drugs, which reflects the findings from drug-testing in football worldwide. "All positive cases for Wada-prohibited substances are published by Ukad and the FA."